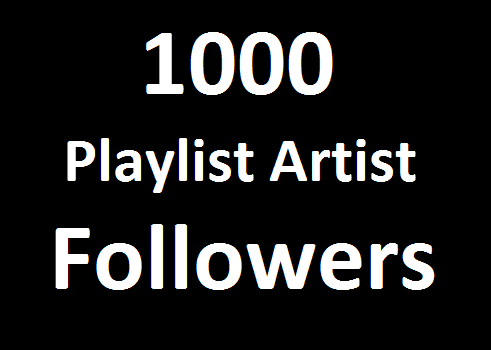 Super Fast Delivery 1000 Playlist Artist Profile Followers For $2. Allowed: Multiple url link for each order. no fake no bot work. Let me know if any questions? i can help you. Super Fast Delivery 1000 Playlist Artist Profile Followers is ranked 5 out of 5. Based on 22 user reviews.